Even when things are hectic and going awry I try to sit behind the sewing machine as often as possible, it’s how I maintain at least a bit of my sanity. I know y’all get it! I was so happy when New Horizons announced the Women’s Cascade Tee! This mama was a bit jealous of Samantha’s sushi top. This is another one of those wardrobe staple patterns. It has options to keep you dressed all year round! 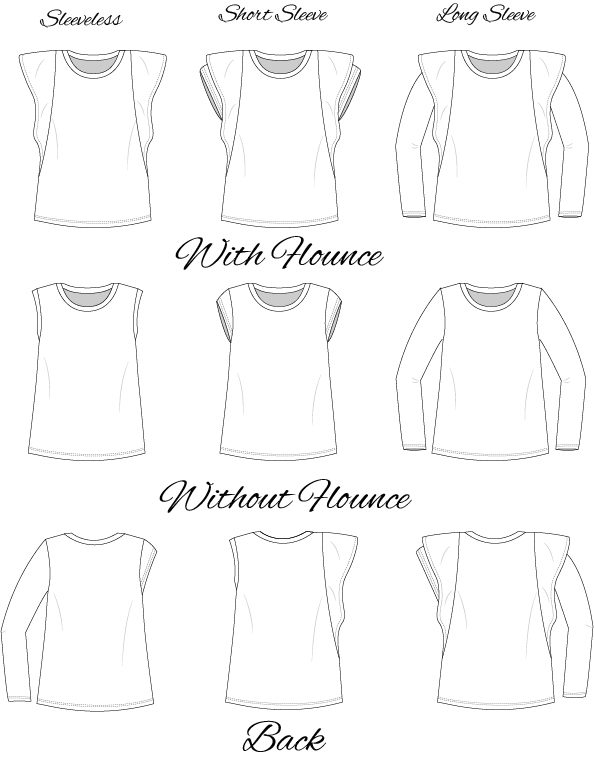 Sleeveless, short and long sleeves, all with or without the shoulder flounce. The Tee has a relaxed and flattering fit, which I love! I’ve put on a few extra pounds and in this shirt I don’t feel self-conscious about the “new” and improved extra bumps :D.
I managed to use my leftover scraps from this gorgeous floral mesh I had previously used for a swimsuit cover-up/dress, so big YAY for that! I paired the mesh with a solid rayon knit and I love results! To make the top I just cut 2 front panels (1 mesh and 1 knit) and treated them as one when assembling the pattern (same for the back panels). Flounce and side pieces were kept single layers. For this first one, I chose to make the sleeveless with flounce. The PERFECT option for warmer days, I’ve worn it a ton already! The Cascade is an easy sew and I’d consider it beginner friendly. There are just a few steps extra for the flounce option, but it’s not difficult at all. I really love this little shoulder flounce and am thinking that a maxi dress hack needs to happen! It’s amazing how a detail can take the piece to another level, isn’t it? Add a flounce to a tank top and BAM: a super cute, feminine, flirty tee!